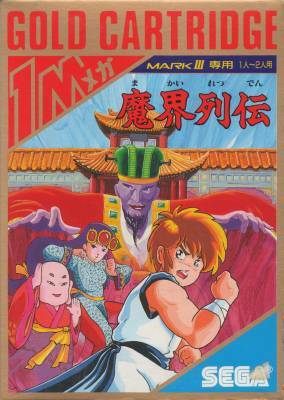 Kung Fu Kid / Makai Retsuden (魔界列伝) / Magye Yeoljeon (마계열전) - Games - SMS Power! 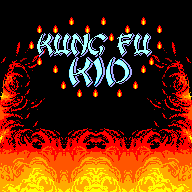 Kung Fu Kid is the sequel to SG-1000 Dragon Wang. Get ready to perform the martial arts with the precision of a master. Now is the time to accept your fate as the most courageous man alive. You're the invincible Wang. 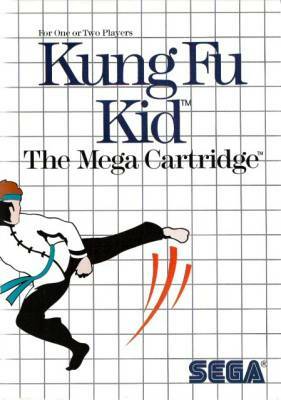 The most skilled Kung Fu artist in the history of ancient China. Armed with the mysterious and traditional Talisman, your talents are the only defense against the wicked Madanda, the most dreaded creature to ever live. He's just awakened from a sleep of several thousand years and his desire is to terrorize your village and devour its people. The battle will be furious. And nobody knows the outcome for sure. So right with pride and power to send this unnatural force to a final resting place.